How Would Sleep Quality Affect Our Life? The quality of our sleep has a great impact on our performances the next day. In your social environment, you want to be positive and helpful to all people you value. In your professional life, you want to be productive and focused. This is possible with WoodyKnows Nose Vents. They will give you and your partner the peace you deserve. 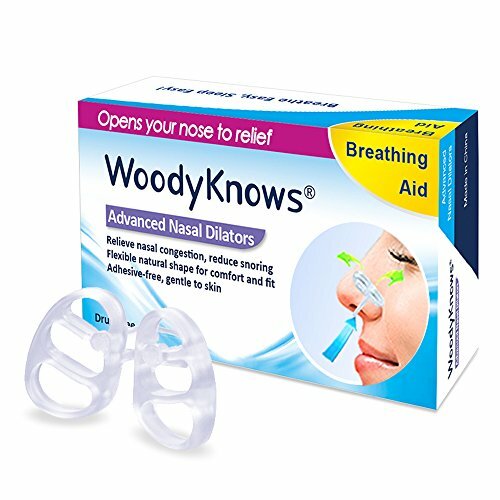 How do WoodyKnows Nose Vents Work? When you use it, the nasal passage will be expanded and a maximum air flow will go through your nose. 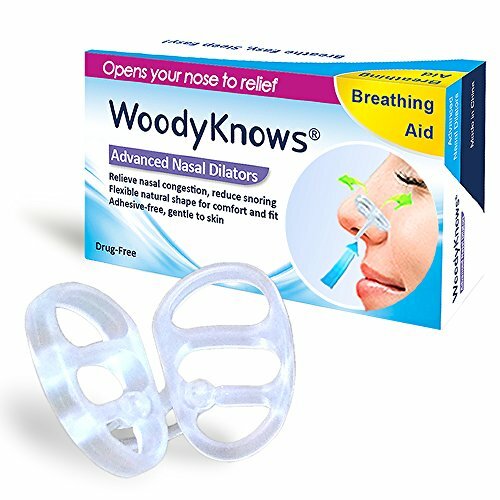 Why Do You Choose WoodyKnows Nose Vents? 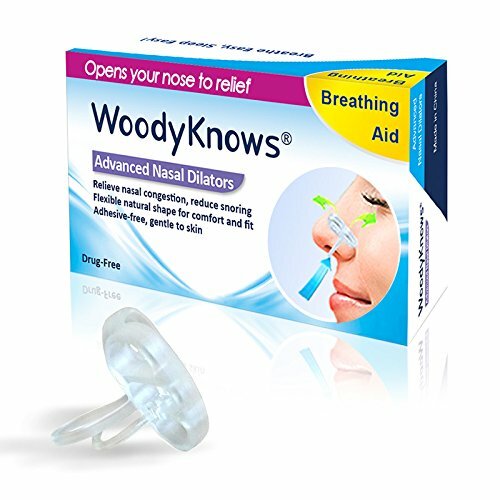 IDEAL TO STOP SNORING & EASE BREATHING - Gently but effectively opens up nasal passages from within to maximize airflow. A comfortable and cozy feeling helps you sleep deeply and quietly! 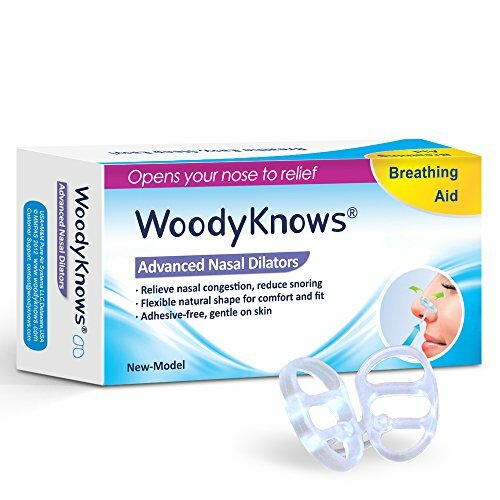 THE MOST COMFORTABLE DEVICES ON THE MARKET - Designed according to the natural shape of your nostrils for comfort and fit with very soft FDA-approved plastic, BPA- and Phthalate-free. Ultrathin dilators not only enhance comfort but also avoid impacting nose hair. Your nose hair will still be effective to catch airborne particles, otherwise they could go straight into your lungs. CUTTING-EDGE STRUCTURE AND DESIGN - Advanced Two-Piece Connected Structure: the dilator rings are soft and gently fit in the nasal passages while the connector is firm and sits securely in nose for fuss-free sleep // Adhesive-Free and Discreet Invisible Design: does not irritate nasal skin as with nasal strips // Slanted Posture Design: the dilators can go deeply into nasal passages to open the nose effectively. DURABLE AND NATURAL SOLUTION - Drug-free relief suitable for long-term use. 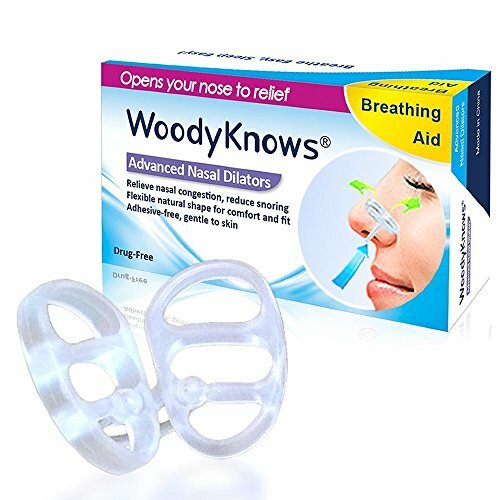 A really good alternative to nasal strips that you have to replace all the time. You can use it over and over again and you are easy to keep it clean! MULTI-SIZE PACK (S+M+L) for your first try! CARRYING CASE included for travel and sanitation! MONEY-BACK Guaranteed!